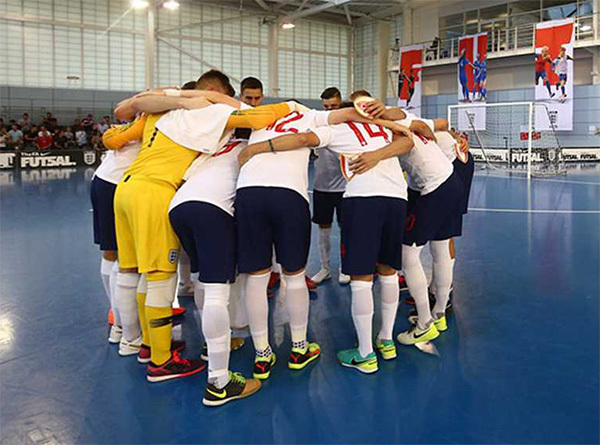 England’s U19 Futsal squad head in Croatia this week for the main round of the inaugural UEFA U19 Futsal European Championship. The Young Lions will face Italy on Wednesday 27 March and hosts Croatia the following day before playing Slovakia in their final match on Saturday 30 March, with all of the games taking place at the Mladost Hall in Karlovac. U19s head coach Pete Vallance has selected a 14-man squad for the trip and is looking forward to seeing how his charges fare against two of the top nations in European Futsal. “This will be our toughest test yet for our group as we play three International games over four days,” he said. “In the build up to our European campaign we’ve faced top Futsal nations such as Holland, France, Spain and Portugal, which have been invaluable experiences and enabled us to benchmark ourselves against these extremely strong nations with a heritage of Futsal. And Futsal Lions senior head coach and performance lead Michael Skubala added: “It’s great for the Futsal programme to have an U19s competition and it will be a massive test for our Young Lions as they face fully professional players in the U19s Euro Main round. “Italy and Croatia are no doubt favourites as their senior sides are so strong and their age group sides have be established for years now.